Doreen Garner is creating a more inclusive setting within the tattoo industry with her stunning artwork. The artist created a pop-up art studio, named Invisible Man Tattoo, with the help of a local art gallery known as Recess. The studio name is a reference to Ralph Ellison’s novel of the same title, which tells the story of a man whose skin color makes him invisible within society. 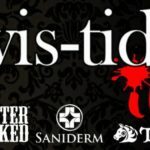 Invisible Man Tattoo acts as both an art exhibit and a tattoo parlor where interested clients can get inked while learning more about prominent African American figures. As a multidisciplinary artist, Garner excels in sculpture and installation work that focuses on the body, medicine, violence and how these interact with the human form. Garner truly offers a unique perspective as she works to combine tattooing and social issues in a way that few artists can. 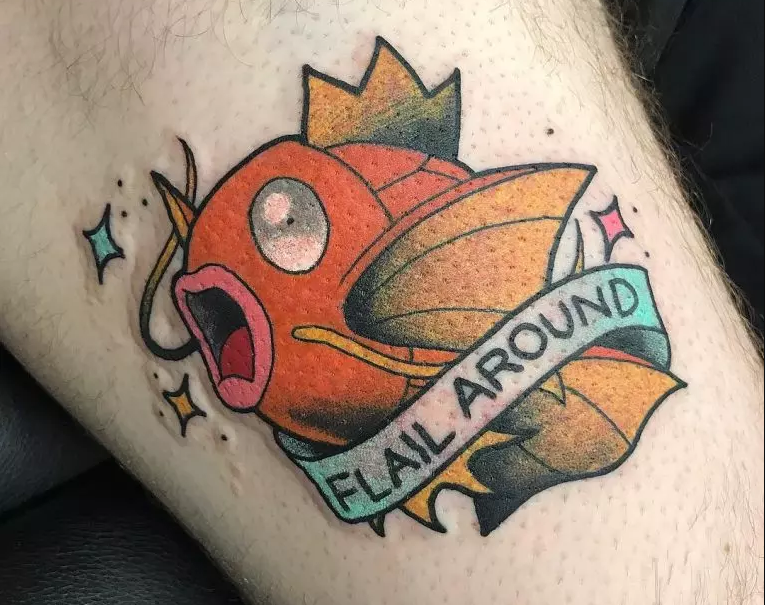 For those interested in Garner’s tattooing, you can select a simple tattoo from existing designs, or propose a more complex one of your own choosing. A few common designs include black panther heads, cotton flowers, portraits of Martin Luther King Jr., and Angela Davis. The imagery is meant to honor black revolutionaries, black inventors, and stories of black individuals who were exploited by the medical industry. Garner’s tattoos are meant to act as a permanent badge that can celebrate that wearers identity and cultural roots. 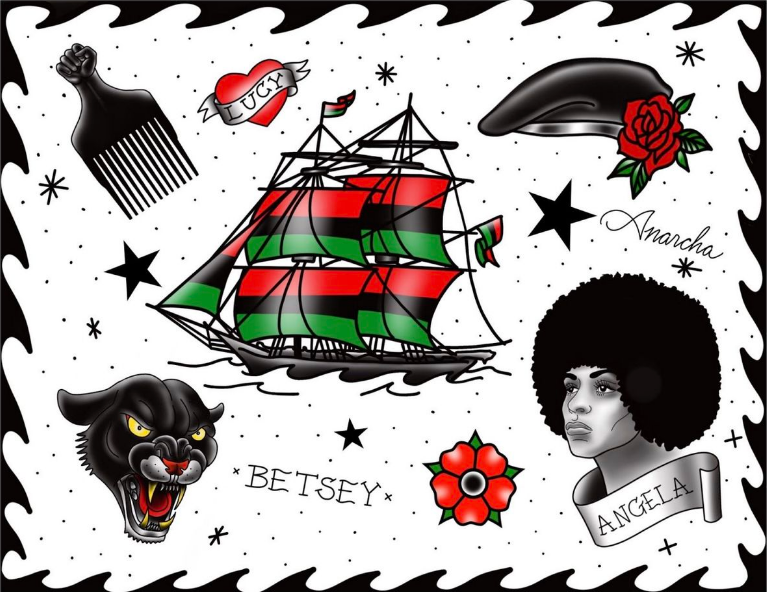 The artist is also offering a unique pricing structure, where those who self-identify as black or brown people of color can receive select tattoos for free. 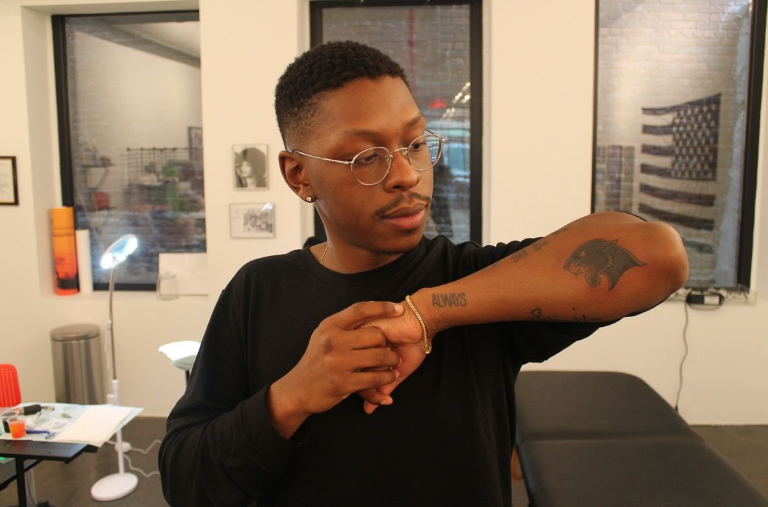 The repetition of this imagery caused Garner to wonder, “if black people are such a large part of why America succeeded, why aren’t there any images in tattoo shops across the U.S. that depict and celebrate blackness?” Garner has taken it upon herself to solve these issues and bring more attention to them through her artwork. Her tattoo shop/art exhibit is meant to be a safe haven that is specifically designed for people of color, who often don’t feel comfortable within traditional tattoo shops. 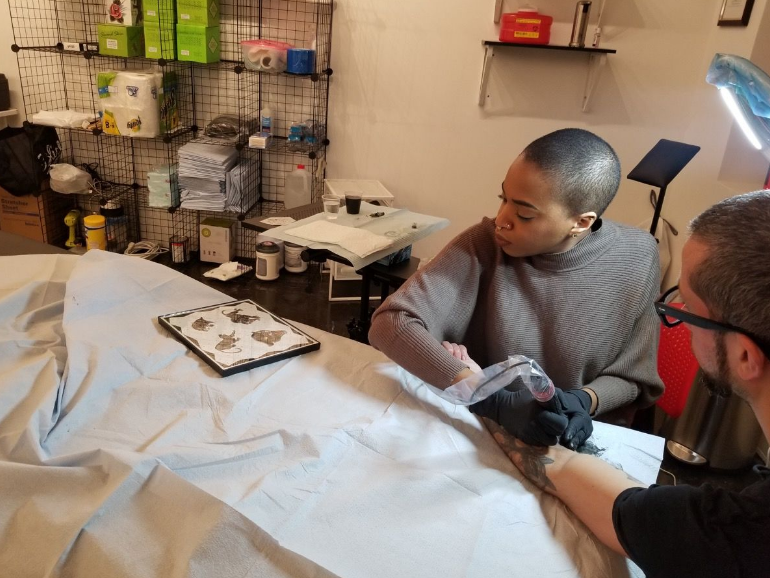 This unique pop up tattoo parlor will run until March 3rd and has already featured a #MLK party in honor of the late Civil Rights activist, Dr. Martin Luther King. You can support Garner and this cause by scheduling an appointment here or by viewing her impressive tattoo portfolio here.